On October 16th, Apple will announce, among other things, new iPads, maybe new iMacs, and the introduction of Mac OS 10.10 ‘Yosemite.’ What does that mean for you? These are probably the last hardware announcements for the year. So if you’ve been waiting, now is the time to give MACximize a call to place an order for you. And you’ll save $$$ when we call Apple for you. Apple gives all my clients a discount when we do the installation, so it’s like getting our services paid for by Apple. 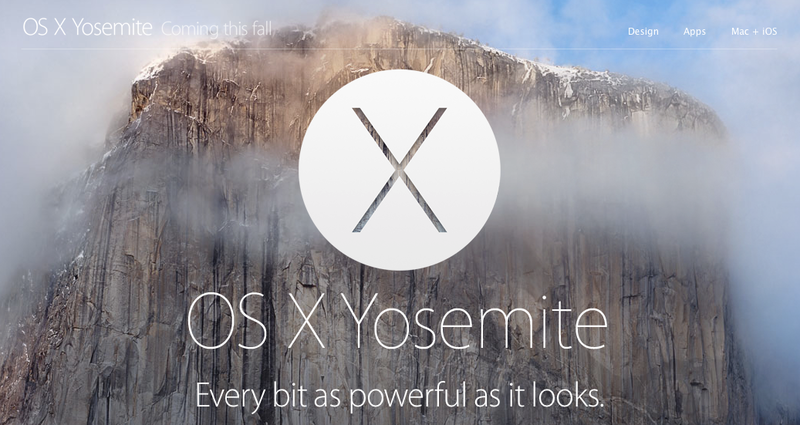 As far as OS 10.10 Yosemite (http://www.apple.com/osx/preview/?cid=wwa-us-kwg-mac-com), we are very excited. There are so many new features. And Yosemite makes your iPads and iPhones running iOS 8 even more powerful. For example, with OS X Yosemite and iOS 8, when your iPhone rings, so will your iPad and your Mac! No more having to run to pick up your cell when you’re sitting in front of your Mac and your iPhone is somewhere else in the house. You can even initiate calls from the iPad or Mac — it connects to your iPhone via WiFi and makes the call. Wow, right? We have to sleep some time! We will make that 24/7 if it means keeping your systems up and running efficeintly. Apple and Mac system services and support needed to Macximize your productivity from security to networks, software to hardware, backups to upgrades, and more.